New York, NY — October 9, 2018 — Net at Work, a full-service technology and business consultancy, and Sage’s top partner in North America, today announced it has acquired Management Advisory Services (MAS), a long-time consultant and reseller of Sage 100 (MAS 90) and Sage BusinessWorks. 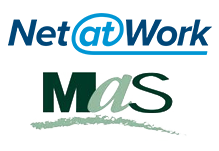 The acquisition provides MAS’ clients access to Net at Work’s award-winning Sage team, providing unmatched support for the full suite of Sage ERP, CRM, HRMS and extended solutions, while delivering a complete range of technologies and services to help them grow their business, including: document management, eCommerce, payment processing, and cloud/managed IT services. The acquisition is the most recent example and validation of the Net at Work Partner Alliance Program, which gives professional services firms a path to a graceful “exit”. The program also enables VARs and professional services to augment their in-house specialties by accessing Net at Work’s resources.